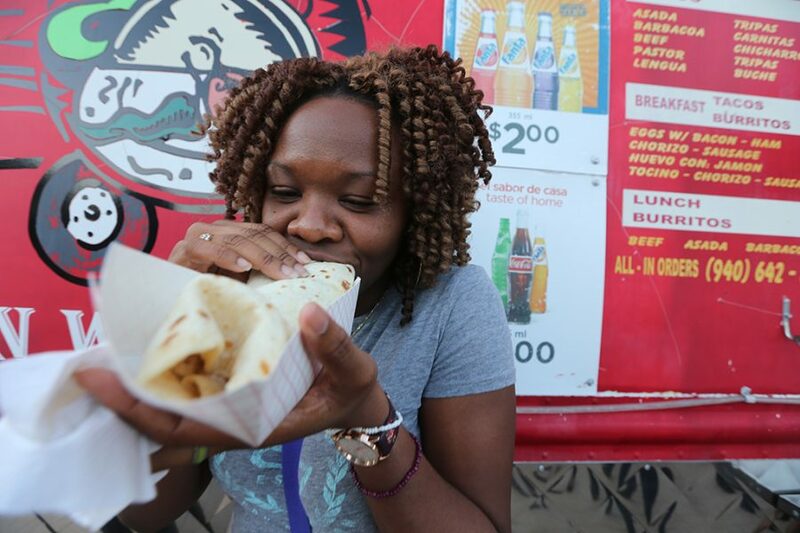 Food Truck Friday took place at the Jesse Rogers Promenade on Sept. 14 despite a slight rain shower earlier in the day, featuring food from Best Bayou Bites, El Norteño, Red River Hot Dogs, and Kooley’s Shaved Ice. 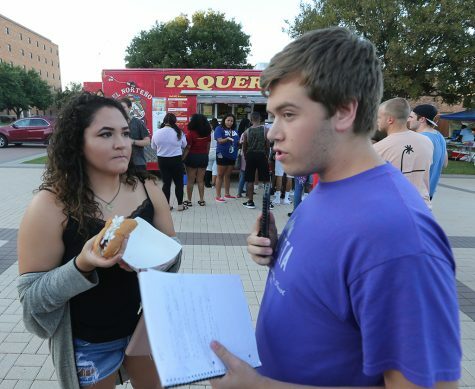 The trucks were on campus from 7 p.m. to 9 p.m. and about 120 students who attended. The event was originally scheduled for Sept. 7, but was rescheduled due to heavy rain. Ruby Arriaga, student involvement activities coordinator said it was her student assistant who came up with the idea. The event was announced via social media and flyers around campus. The first 100 students who arrived received a ticket worth $5 that was redeemable at any food truck. 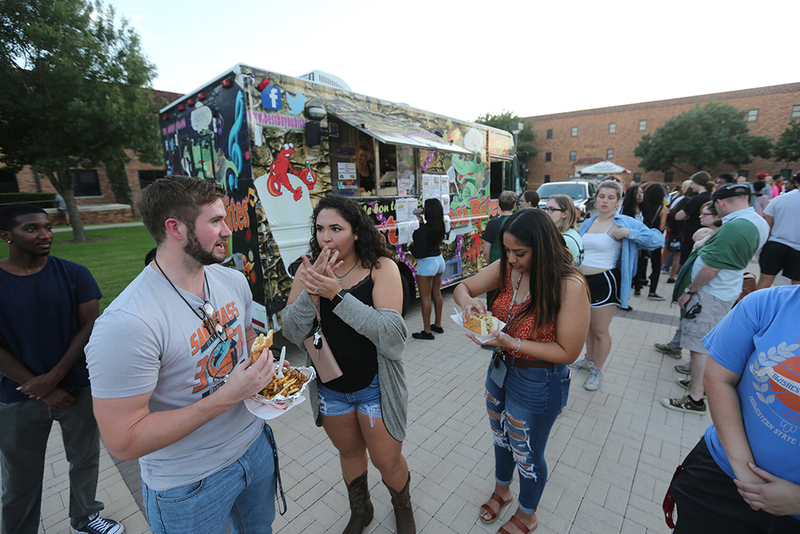 The large student turnout caused long lines at the food trucks, but the students said it was worth the wait. “The taco line is long, but I haven’t had a hot dog in forever, and it’s really good” Jackie Dominguez, exercise physiology junior, said. Arriaga said there are talks of making Food Truck Friday a monthly event. After watching the lines that wound around the plaza get longer and longer then shorter and shorter, I couldn’t spend all this time and not eat. I ordered the Lindseyanna patty melt from Best Bayou Bites. I chose Best Bayou Bites over the other trucks because Cajun food isn’t widely available in our area. The patty melt contains beef, pork, onions, cheese and Boudreaux sauce on roasted sourdough bread. I enjoyed it very much and would definitely recommend it.